I think it would be a mild understatement to say that when Alien: Blackout was first announced, it was met with some dissatisfaction. While I understand the dislike towards the current state of mobile gaming, I’ve had a good history with Alien (and Predator) games on handhelds. Aliens: Infestation on the DS is easily one of the best Alien games over the last decade. I spent so much time playing Thanatos Encounter when I used to stay at my Grandmother’s as a child – unfortunately I couldn’t drag around my PC to play Aliens vs. Predator 2. More recently – and more specifically Android/iOS – I also had great fun with Aliens vs. Predator: Evolution and Predators. So when Alien: Blackout was announced, I didn’t have the same negative reaction that so many others did. As much as I genuinely enjoy AvP: Evolution, I’ve had that on all my Android devices for nearly 5 years and I was so ready for a new Alien experience in my pocket. I was also eager to see more of Amanda Ripley’s story. 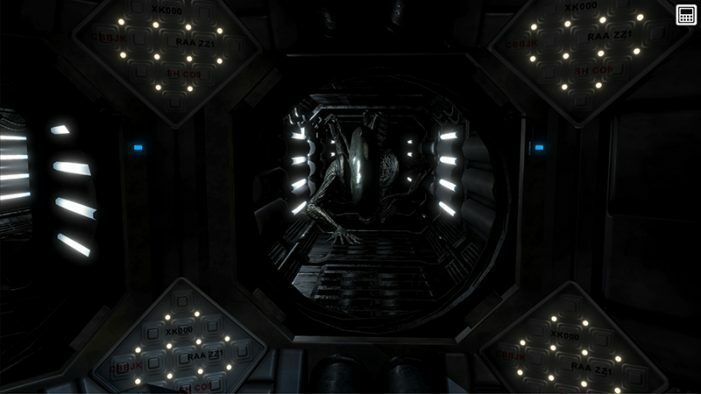 Alien: Blackout’s narrative is on the lean side due to the platform the game is on, but it had far more story than I actually expected. 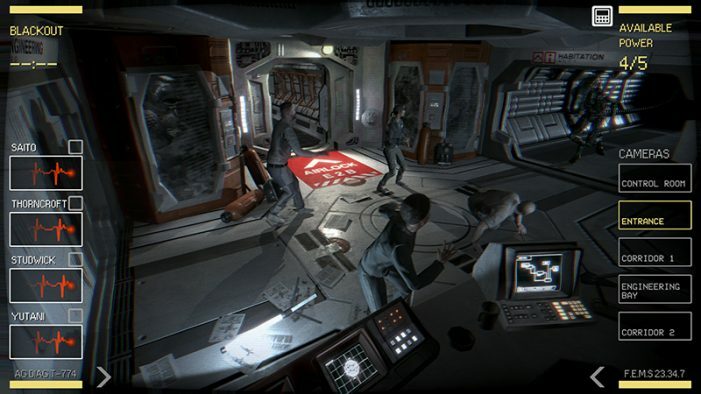 Blackout picks up after the end of Alien: Isolation, the crew of the Mendel station retrieve Ripley and bring her back to the station. By the time Ripley wakes up, the station has already fallen to the Aliens, and she’s forced to hide out in the vents. That’s about the extent of the backstory. The game picks up when the shuttle Haldin (another Joseph Conrad reference for you!) arrives and Ripley has the opportunity to escape. But first, she has to help them get the parts they need to repair their own ship. As you progress through the game, the character dialogue offers additional background on theirselves and Amanda is mostly explaining the narrative around what they’re doing level by level. I know it’s not the biggest of stories, but I was honestly surprised there was as much as there was. I did find myself wishing for more background details around the situation but it doesn’t really detract from the experience. The voice acting work in Alien: Blackout was fantastic. It was such a pleasure to hear Andrea Deck return as Amanda Ripley. I know there was a lot of concern over mobile games being cash grabs but Alien: Blackout isn’t one of them. Having Andrea Deck open the game just lends the game a huge sense of credibility as soon as it opens. It would have also felt so wrong had someone else stepped in to her shoes. The rest of the voice actors were great as well. I wouldn’t have guessed that Corey Dean played both Studwick and Thorncroft! I was also unsure about the decision to include Naoko Yutani. It didn’t really seem to add anything to the actual experience. Though not touted as Alien: Isolation 2, there is no denying that it is a quasi-sequel to Isolation. The narrative picks up straight after the end of Isolation and deals with the fallout of the games conclusion. In addition to the narrative continuation, I found that Alien: Blackout also shared so many of Alien: Isolations sensibilities. Alien: Blackout is hard. And that is going to turn some gamers off. But, like Isolation, for me that difficulty is part of the Alien experience. The world of Alien is not supposed to be a world of safety and it adds to that Alien feeling. It all adds to the immersion factor of feeling like you’re stuck on this station. It’s possible to lose members of the crew and continue on to the next level but the further you get into the game and the more crew you lose, the harder the game gets. But it’s also difficult to play the levels with more crew alive as they run the risk of making more noise. Alien: Blackout was a challenge. I found myself having to replay levels over quite a few times to try and keep everyone alive or just progress through. But like Alien: Isolation, when I bested the Alien or made it through to the next level, I was just so satisfied. That said, it would have been nice to have been able to skip the starting dialogue of the missions. It did get a little tiresome listening to the same dialogue over and over again during all those restarts! 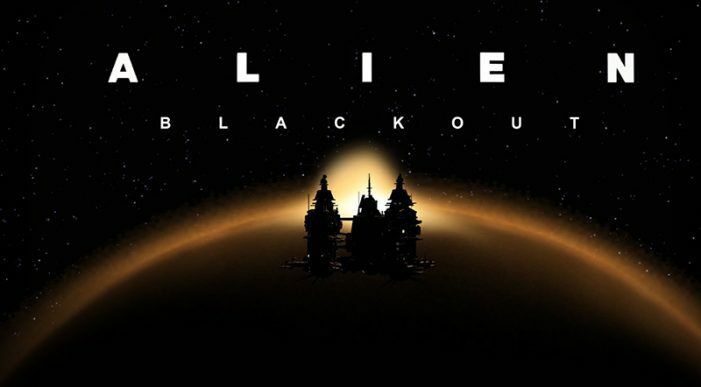 Alien: Blackout also returns to the lo-fi-sci-fi/retro futurism aesthetic of the original Alien films. The construction crew working on Mendel also used the same Space IKEA as the Nostromo and Sevestapol teams and I liked that. I enjoy actually having visual continuity between all these new entries. It gives it such a feeling of cohesion. Graphically Alien: Blackout looks amazing, especially compared to what I usually expect when I’m downloading a new app for my phone. I know I’m supposed to use the cameras to check for danger, but honestly, sometimes I just wanted to check out Stompy Jr. as he strolled by. Like Isolation, there’s a degree of randomness to Stompy Jr. that constantly kept me on my feet, flicking through the camera feeds and checking the motion trackers, just trying to get a bead on his location. I thought this was a great tension device and it added to the immersion. Unfortunately, it also resulted in some moments of what felt like cheapness. With the limited camera coverage, it just felt unfair at times. I think this is going to be a real issue for gamers who may not like the difficulty of the game. While Stompy Jr. did have some randomized behaviour, he did also have specific scripted moments. You can catch his first appearances on each level (aside from the first) on the cameras, and he has some very specific initial behaviour on most of the levels. I found it easiest to notice this on the Pharmalab level. I don’t say this as a pro or con, just to point it out. I did have some issues with the human character animations. They’d continue to move their arms around as if they were still talking during some dialogue sections (notably during the opening scene), there didn’t appear to be any actual mouth movement and the models looked particularly stiff as they were moving about. The sound on Blackout is something that really stands out to me too. Tommi Hartikainen did such a wonderful job on the sound design and the score. Hearing those creaks of the vents around me and the echoes of the characters death throes did wonders to keep the tension. Alien: Blackout has clearly been built from the ground-up for the mobile platform and I would say for the most part it very much works as part of its strength and charm. I love that you’re actually playing Amanda using a tablet device. 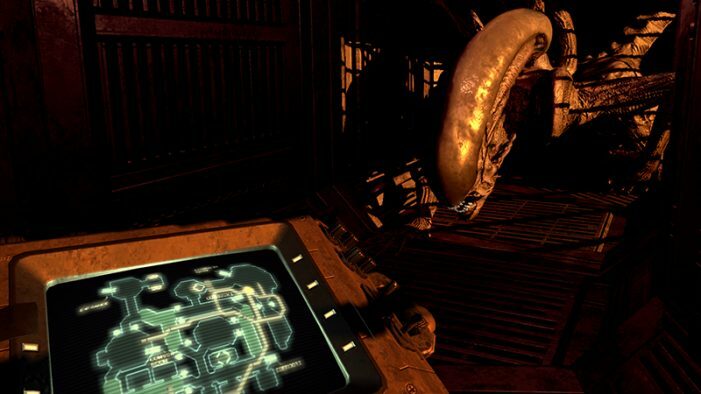 I thought it worked really well and was another element of Alien: Blackout that added to the immersion effect. Now that said, I did sometimes struggle with selecting the correct dot or hitting that vent close in time. Whilst my stomach may have expanded over the years, my fingers have remained mostly average in width. I was playing this on my Samsung Galaxy S8+ so I was playing it on a larger phone screen but I was still having issues occasionally. It is possible to zoom in on the map but that takes precious seconds to do and to pull back from. Obviously it works better on larger screens. I’ve tried Alien: Blackout on several different formats including my tablet, screen-sharing on the TV and on the PC via Android emulator. Honestly, while I love that this has been built specifically for the mobile and love having this in my pocket, I had the most fun with it on the PC. I know the possibility of porting Alien: Blackout across to platforms has been talked about and I’d really like to see that leap made. I’d also love to see more of this format whether an Alien: Blackout 2 or something else. I know comparisons have been made to Five Nights At Freddy’s but I haven’t played those games. But Blackout felt Alien to me. It might not be the Alien I’m used to playing but it slotted right in and felt like something I could expect to see play out in a film. I think there’s more to be found to the game-play style too. I’d love to see things like audio distractions, using gas to repel the Alien or being able to vent areas into space. I genuinely think there’s a lot of potential in this kind of format. All of these elements came together to create a nice slice of the Alien universe that fit onto my phone. Though I would never say Blackout scared me in the same way that Isolation did, it was able to create a very tense atmosphere that had me immersed in this world. I was constantly on edge, flicking between cameras or the map. And my heart-rate certainly got going when I heard those clunks in the vent that meant Jr. was on his way to me! Unfortunately, the game is a little on the short side. It’s possible to complete the game in just over an hour. Though that’s only if you just keep on charging forward without restarting levels to get as many of the characters through as you can. Whilst I did enjoy the final mission, the ending itself felt somewhat lacklustre. It would have been nice to see an ending that involved you, as Amanda, somewhat more personally. To help her escape in some way, rather than just that quick cutscene. Unless you’re interested in trying to go back and ensure that all the characters survive – and there’s achievement and alternate dialogue reasons to do that – that’s not a huge amount of replayability in Alien: Blackout. I can see myself going back to dip into the gameplay experience but I would have liked to have seen a longer game. I wouldn’t be opposed to further missions, or even a sequel, being released sometime further down the line. When all is said and done, this is another piece of Alien property that I can feel the love and care of the developers in it and to me that says so much. 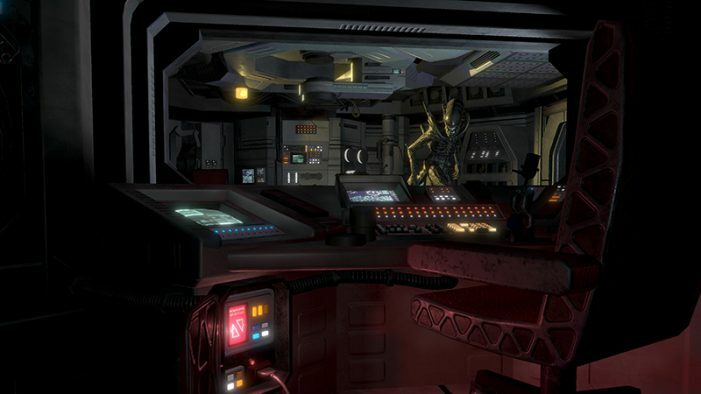 Alien: Blackout is another lovelingly crafted slice of the Alien universe and the Alien experience, this one just happens to fit right in your pocket. I’d love an Alien: Isolation 2 as much as the next masochism obsessed Alien gamer, but I’m so happy we got Alien: Blackout. Due to how much I enjoyed the game, I’d been wanting to give it an 8 but unfortunately the short length and lack of replayability made me knock it down a point. From Aaron Percival, here at Alien vs. Predator Galaxy, I award Alien: Blackout with a 7 out of 10.